on the Urban Renewal album by American R&B-based horn section and band, Tower of Power. 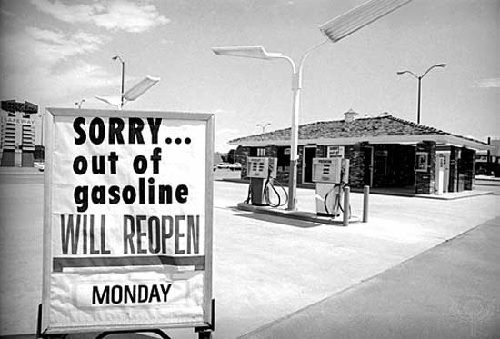 Recorded in 1974 and released in 1975, the song hit the airwaves at the height of the US oil energy crisis, during which Americans experienced skyrocketing prices, shuttered gas stations, and fuel rationing. There’s only so much oil on the ground. Tell that to your kids while you driving downtown. That there’s only so much oil on the ground. The video below is from a live performance at the Montreux Jazz Festival in 2008.